residential roofing Archives - Beneficial Roofing | VOTED BEST Roofing Company, Call Us Today & See Why! Quite possibly the most common sign that something is wrong with your roof is unsightly discoloration on your ceiling. 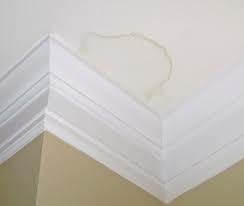 When your ceiling starts to stain or leak, this could be a sign that there is an excess buildup of moisture in your attic. Unfortunately, there could be a number of reasons why this is happening. To avoid further damage to the structural integrity of your attic and roof, it’s best to have a professional come and asses the damage and find the issue. 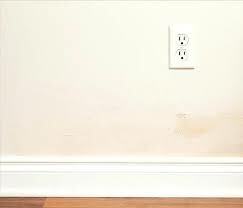 A common problem to overlook is water marks on your wall. You could easily mistake this for issues with your siding or even the plaster. Normally this means the step flashing is loose where it meets the wall. If it’s not loose, it could be because it has either rusted or incurred damage. If the damage to your wall appears worse after a good rain storm, it’s pretty safe to say that this is the culprit. This is a great sign that your roof is at the end of its life and is going to need to be replaced soon. It’s very important to get ahead of this problem because the granules protect the shingles from the harsh UV rays. 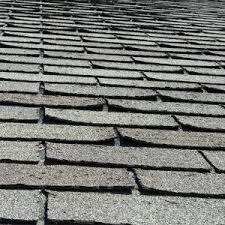 When the granules are all removed, your shingles will begin to decay and become very brittle. 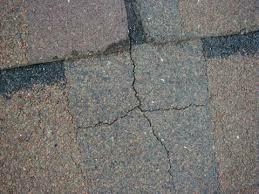 This can lead to cracked shingles, which is a big problem for homeowners and should be addressed quickly. If your shingles have begun to cup, this could be a sign that your attic is having ventilation issues, or that your shingles are old and worn. This is a good sign the roof will need to be re-shingled. This is a good time to have a professional come out and asses your roof for other problems. Cupped shingles can be very problematic for your roof’s health. If these shingles aren’t fixed, they can blow off in a strong wind, leaving your roof exposed to the elements. This is a tell-tale sign that you have an algae problem. Some websites will say that this isn’t a problem, but that’s where they’re wrong! Algae, when left to fester and grow, can dislodge the granules in your asphalt shingles, leaving them exposed. Algae can also attract moss to your roof, which has the same effect on your shingles. Placing zinc strips around the ridge of your roof will release a fungicide that, when it rains, that will kill the algae. Another option is to mop your roof with a bleach mixture that will instantly kill the algae. However, if algae or moss has been a continuous problem, it’s best to have a professional come take a look at your roof. 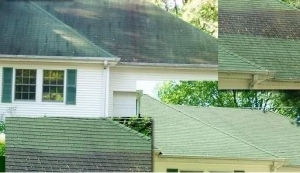 These are just a few examples of what your roof might be trying to tell you. A simple way to get the most life out of your roof is to have annual or biannual roof inspections. This ensures nothing is trying to break it down. Call us today to set up a visit so we can make sure your roof isn’t trying to tell you something!